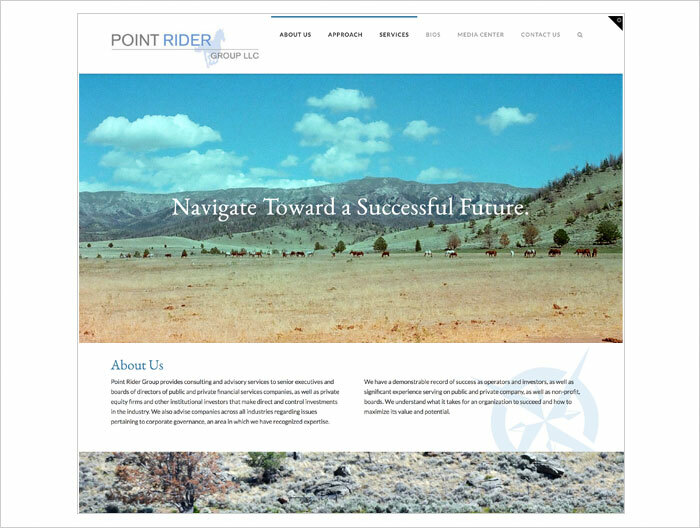 Point RIder Group is a financial consulting business based in Connecticut. They came to Padraic and requested a new brand for their expanding business. A point rider is a cowboy who rides in front of a herd and provides guidance for the group. This idea was incorporated into their final identity which was used on their website.